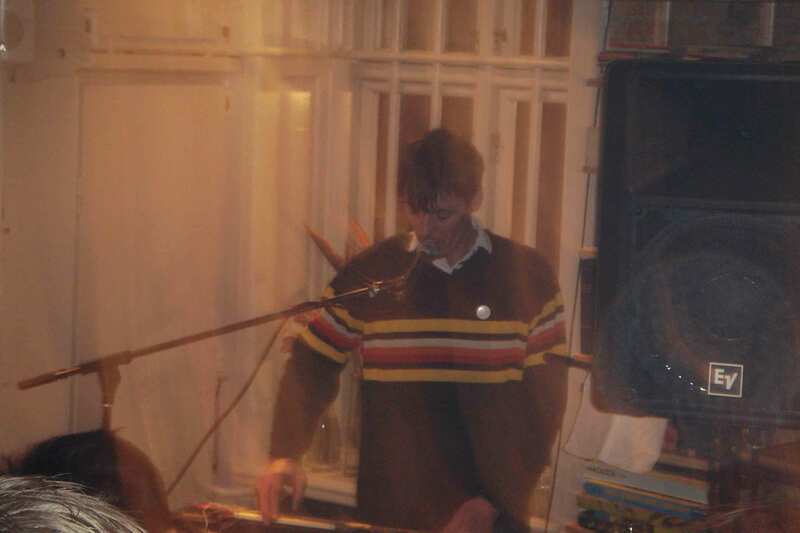 I saw him back in 1996 a couple of times when it was called Industrial Sonic Boom and it was quite noisy stuff. The first time was ok but the 2nd time was terrible, so I was not sure what to expect. He had just been touring the USA as Spectrum with someone on guitar but tonight he was sadly alone. I had never been to this small café downtown and it seems that are going to start to have more live music. Stage area is really small. You could never have a real electric band as the drum kit would basically take up the whole stage area but it is perfect for this sort of all electronic thing. I counted about 60 people in this place and Ole, Jonas (Causa Sui), Jon A and his girl, Nikolia and a few others I knew. Anyway, he started about 21:30 and looked pretty stoned.. IT was quiet except for he has some terrible short that was making a terrible noise in the PA and this went on for about 40 minutes until they solved it. Very distracting to him and us. Why the did not figure this out when he set up, I don’t know. Anyway, he played and sang and it was spaced out ambient stuff. Some spaceman 3 and some Spectrum stuff. Too bad there was no guitar. He came back for an encore, so the total show was about 75 minutes. IT was pretty boring and a lot of people were just talking the whole time by the end, while it started quietly.. That is Denmark for you… I am pretty sure the set list was similar to the Spectrum review by Mike in this issue.